Week Sixty Eight, I am a week behind with my previous blog and ahead of time with this one so I guess they kind of balance out….don’t they?! 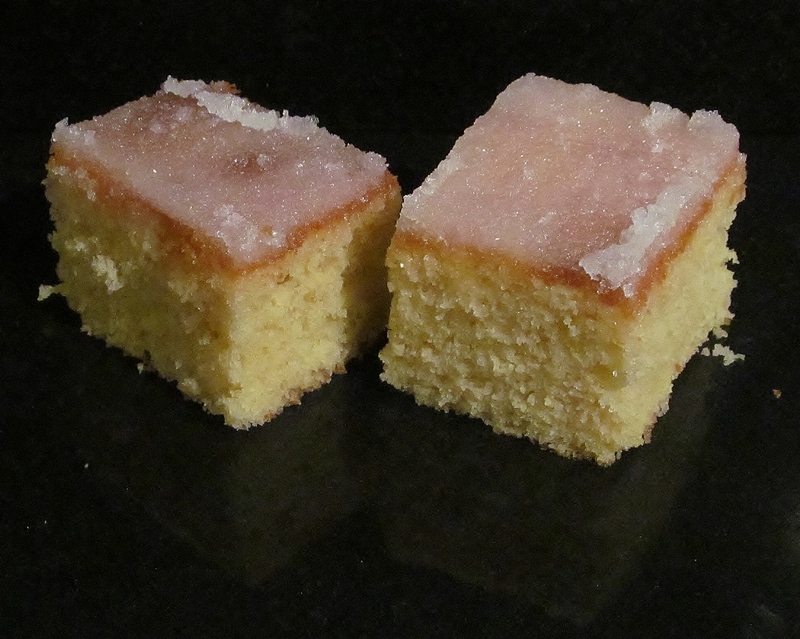 I haven’t got back into the swing of choosing two recipes a week yet so when I delved into Mary Berry’s Baking Bible, the iced lemon tray bake called to me! It’s one of Mary’s throw all the ingredients into the bowl and mix, our into a tray bake tin- and my recycled Lakeland tray hasn’t bitten the dust yet! Into the oven it went for about 40 minutes and it was done. To make the topping, you mix lemon juice and granulated sugar. Mary as usual gives you a pretty meagre helping of the topping so I had to add to it to cover the top of the sponge. Hubby and I couldn’t help but try a piece before we put it into a tin but we thought it was rather yum! This time of year has brought an awful lot of rain and when I take my two hairy hoolies out, I come back with 2 swampy monsters! I have created a “mud” kit which consists of giant dog wipes and lots of extra towels, the dogs get wiped down before I bring them home but they are not overly keen as they go sliding everywhere too . Our mission is to try and find somewhere not too far away that isn’t too muddy! 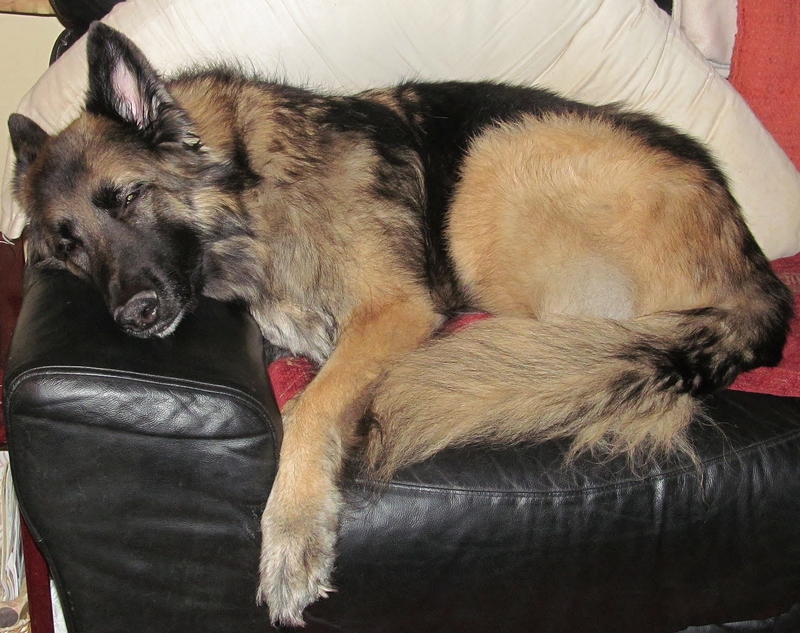 All this exercise though makes our older hoolie rather tired! 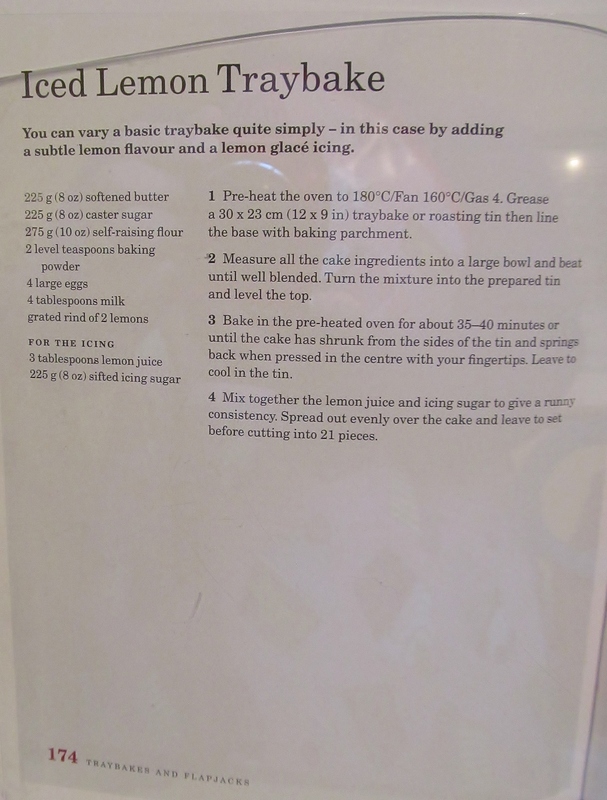 This entry was posted in Kim's cake challenge and tagged Baking Bible, Kim's Cake Challenge, Kim's Iced Lemon Traybake, Mary Berry, Mary Berry's Iced Lemon Traybake by kimsideas. Bookmark the permalink.